Internet Protocol (IP) addresses are usually of two types: Public and Private. If you have ever wondered to know what is the difference between a public and a private IP address, then you are at the right place. In this post I will try to explain the difference between a public and a private IP addres in layman’s terms so that it becomes simple and easy to understand. A public IP address is assigned to every computer that connects to the Internet where each IP is unique. Hence there cannot exist two computers with the same public IP address all over the Internet. This addressing scheme makes it possible for the computers to “find each other” online and exchange information. User has no control over the IP address (public) that is assigned to the computer. The public IP address is assigned to the computer by the Internet Service Provider as soon as the computer is connected to the Internet gateway. A public IP address can be either static or dynamic. 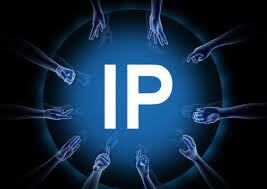 A static public IP address does not change and is used primarily for hosting webpages or services on the Internet. On the other hand a dynamic public IP address is chosen from a pool of available addresses and changes each time one connects to the Internet. Most Internet users will only have a dynamic IP assigned to their computer which goes off when the computer is disconnected from the Internet. Thus when it is re-connected it gets a new IP. Private IP addresses are used for numbering the computers in a private network including home, school and business LANs in airports and hotels which makes it possible for the computers in the network to communicate with each other. Say for example, if a network X consists of 10 computers each of them can be given an IP starting from 192.168.1.1 to 192.168.1.10. Unlike the public IP, the administrator of the private network is free to assign an IP address of his own choice (provided the IP number falls in the private IP address range as mentioned above). If the private network is connected to the Internet (through an Internet connection via ISP) then each computer will have a private IP as well as a public IP. Private IP is used for communication within the network where as the public IP is used for communication over the Internet. Most Internet users with a DSL/ADSL connection will have both a private as well as a public IP. Unlike what most people assume, a private IP is neither the one which is impossible to trace (just like the private telephone number) nor the one reserved for stealth Internet usage. In reality there is no public IP address that is impossible to trace since the protocol itself is designed for transparency.